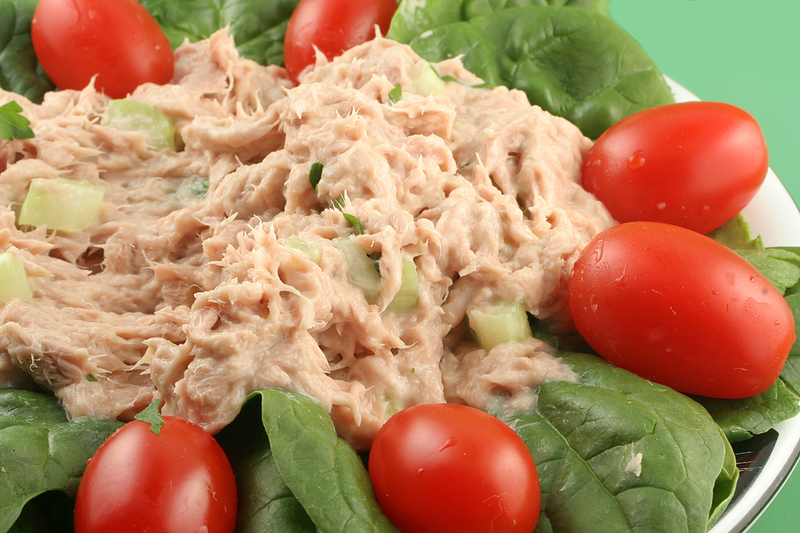 Is it possible to have creamy tuna without the saturated fats in mayonnaise? You bet! So creamy and delicious you won’t believe it. In a small Cuisinart add all ingredients. Blend until smooth. If you find it is too dry add water until you reach the consistency you are looking for. Healthful Tip: This is two servings as a meal and 4 servings as a snack. Because of the beans, this is a little too starchy to have as a sandwich. I recommend serving with one of these; handful of carrots, on top of lettuce or with a handful of whole grain crackers.